As endorsements go, it’s right up there. When the US Ambassador to the UK was asked to name his favourite place in Britain, he had no hesitation in naming Hull, despite visiting 125 towns and cities since his posting. The story produced some excellent profile for a place with a strong association with Wilberforce – Holy Trinity Church, where Hull’s most famous son was baptised in the font still used to this day. Daily Telegraph Reporter Nicky Harley, a former Hull Daily Mail writer, followed up the Wilberforce angle by contacting Pioneer Minister the Reverend Matt Woodcock, himself a former journalist before, in his own words, he swapped news for pews. Matt provided some great quotes for Nicky’s article and came up with the brilliant idea of inviting Ambassador Barzun to a service next May in which the Archbishop of York Dr John Sentamu will re-dedicate Holy Trinity as Hull Minster. 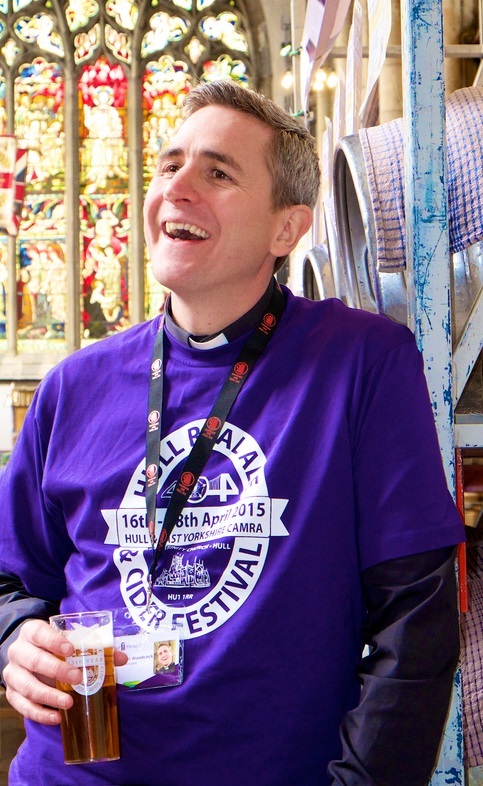 An invitation promptly went out from the Vicar of Holy Trinity, the Reverend Canon Dr Neal Barnes. It was a great opportunity for Holy Trinity and one that had nothing to do with me, even though I handle media and communications for the church’s £4.5m development project. Well, who needs a PR consultant when one of the clergy is a former newsman! You can read Daily Telegraph online article here. 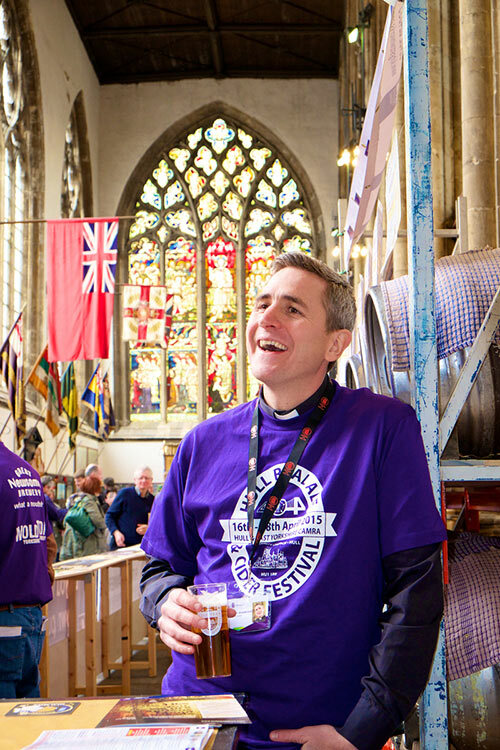 Pioneer Minister the Reverend Matt Woodcock knows how to secure news coverage, as he has by bringing the Hull Real Ale and Cider Festival to Holy Trinity Church.